If you are fortunate enough to own a Passoni there is a three day ride being organized for Passoni owners only. The start is currently scheduled for June 28, 2014. The route is Como to Madesimo - Madesimo to Madesimo - Madesimo to Como. Follow the details on Facebook here. 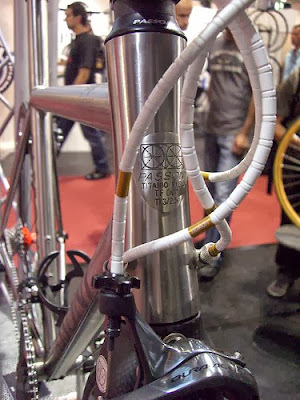 You can find some photos in ICJ of Passoni bicycles here, and, a reader's story entitled, "Passoni Passion" here. Content for the Italian Cycling Journal is based upon contributions from readers. Please contribute. Stories about rides, granfondos, touring, having a good time cycling in Italy, Italian cycling history, racing, etc. are always welcome. Contact me at veronaman@gmail.com.